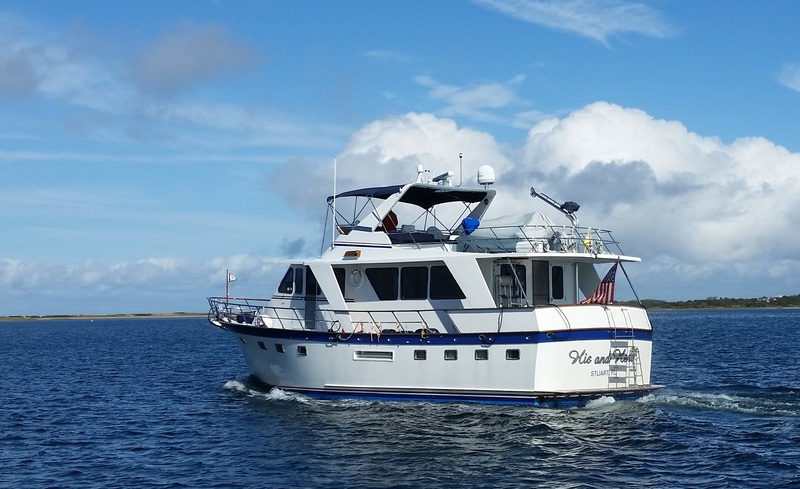 The Performance Offshore Cruiser has a layout like the 52 Offshore Cruiser but it was designed with, less fuel and water, less weight, a semi-displacement hull, and more horsepower. 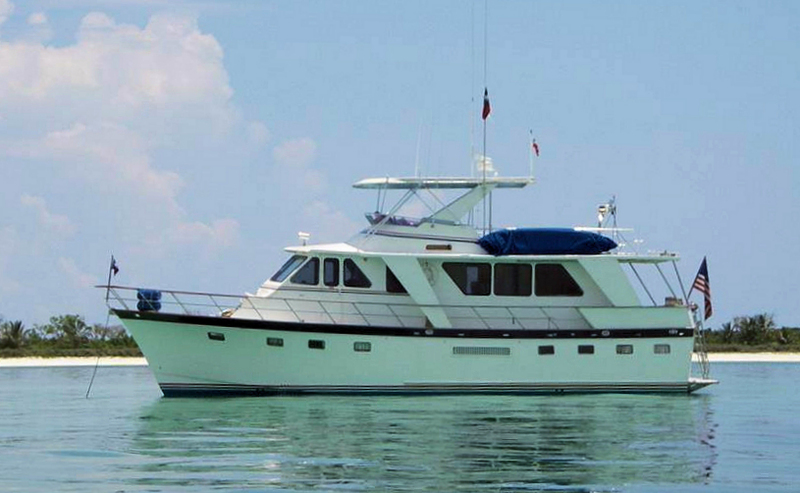 The goal was to give it a higher potential cruising speed than the full-displacement 52. As a practical matter, most of the 53s are cruised at a comfortable 9 knots. 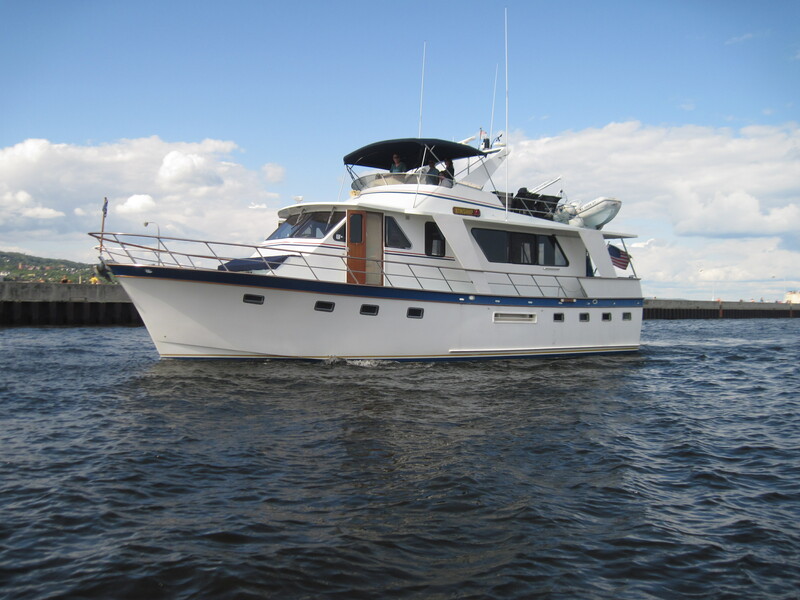 The flush-deck design produces spacious interiors and a standing-headroom engine room. 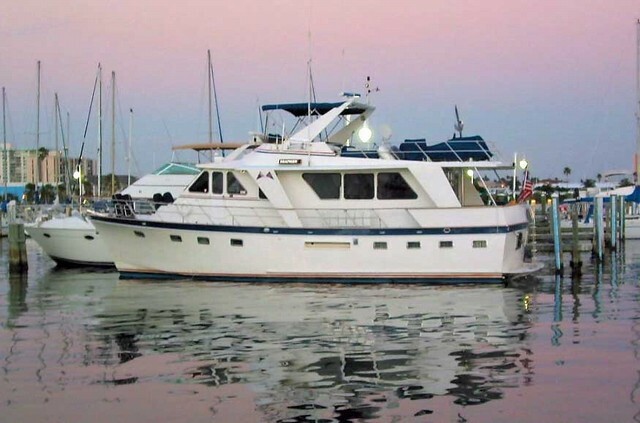 It’s a good boat for a single couple or two couples. 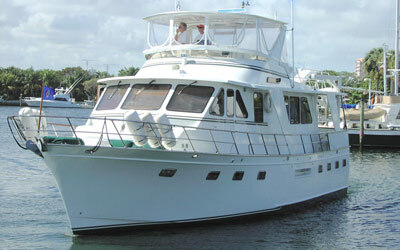 It has three staterooms to accommodate up to six. 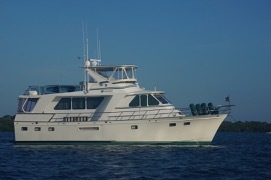 An extended version known as the 57 Yachtfisher was built with a cockpit. Production was from 1986 to 1989.